What is a Lead? 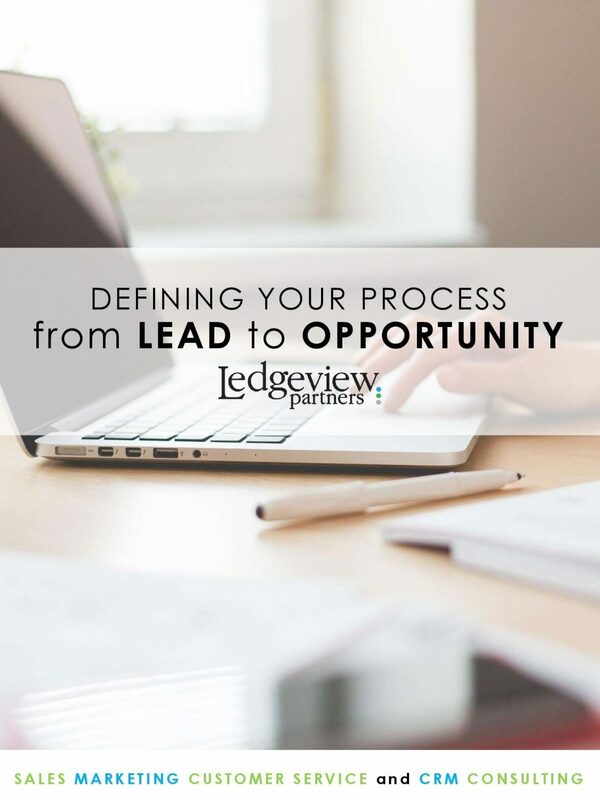 What is the process for a Lead to become an Opportunity? Within this eBook, you will get a thorough overview that helps you define your process from Lead to Opportunity to create alignment between your Sales and Marketing team members. Alignment should be consistent among organizations, whatever your product, service, or industry. The unfortunate reality between the majority of departments within organizations is a misalignment. When it comes to defining Leads and Opportunities, misalignment disables you from moving forward! Drive success. Get on the same page. Get top insight that shows you how! Download Ledgeview’s latest eBook below. Before we take you through Defining Your Process from Lead to Opportunity, please provide a little more information about yourself first. Learn More About Ledgeview's Marketing Consulting Services!